OnePlus’ two-phones-a-year strategy has paid off immensely for the company, as seen by their growing success in Europe and India. There’s never a wrong time to buy a OnePlus flagship—you’ll always be getting the latest Qualcomm Snapdragon chipset that’s currently available with huge amounts of RAM at your disposal. 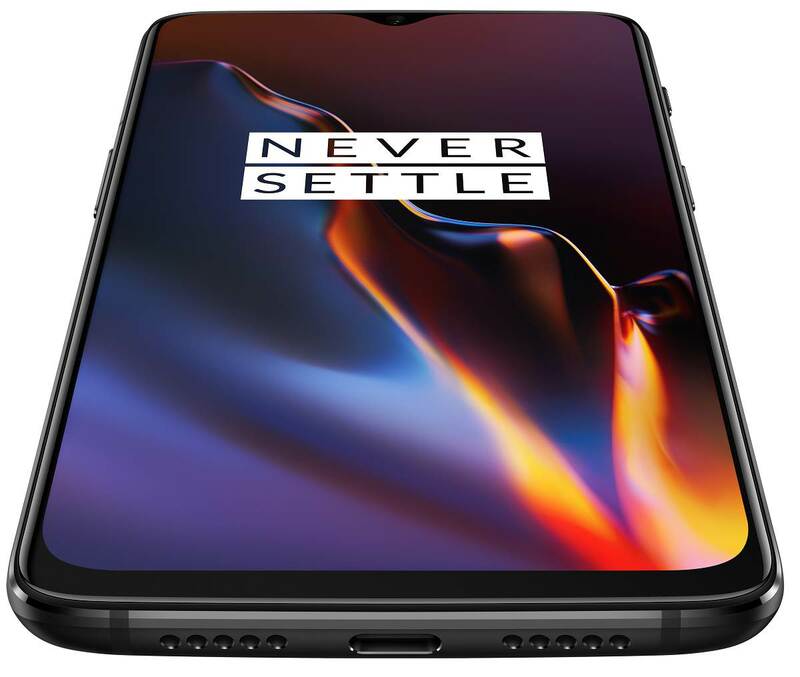 Earlier this year, the OnePlus 6 was made official at a time when the flagship smartphone competition included the Samsung Galaxy S9, Asus Zenfone 5Z, Huawei P20, and Xiaomi Mi Mix 2S. A little over 5 months later and OnePlus now has to compete with Xiaomi’s POCO F1/Mi 8, LG G7/V40 ThinQ, Sony Xperia XZ3, Google Pixel 3, Razer Phone 2, Huawei Mate 20, and a whole bunch of other devices. 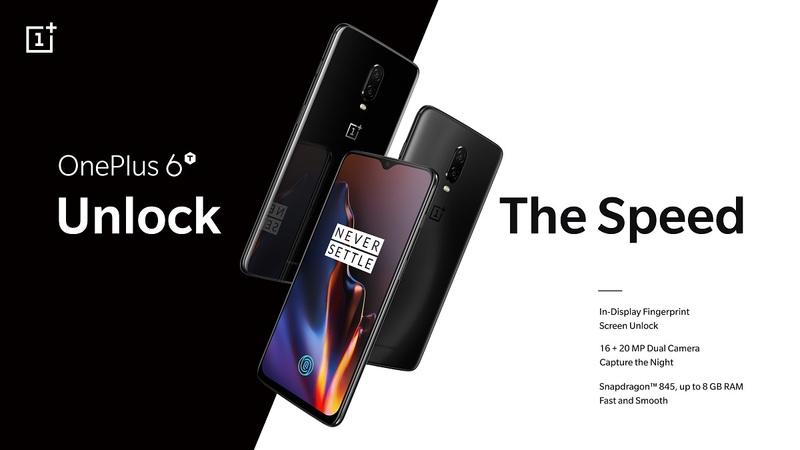 The company’s latest smartphone, the OnePlus 6T, has just been announced, and it’s their first device to be sold on an American carrier. Can the OnePlus 6T survive in the competitive field of late 2018 smartphone offerings? Here’s everything you need to know about the smartphone’s specifications, design, software, pricing, and availability. The OnePlus 6’s notch, already pretty small when compared to the notches of other devices in its time, has been further slimmed down on the OnePlus 6T. There’s now a “waterdrop” style notch area which houses the single front-facing camera and proximity sensor. Above the front-facing camera, you’ll find the earpiece speaker. The bottom bezel has been reduced when compared to the OnePlus 6, resulting in an 86% screen-to-body ratio on the OnePlus 6T compared to the OnePlus 6’s 84% screen-to-body ratio. 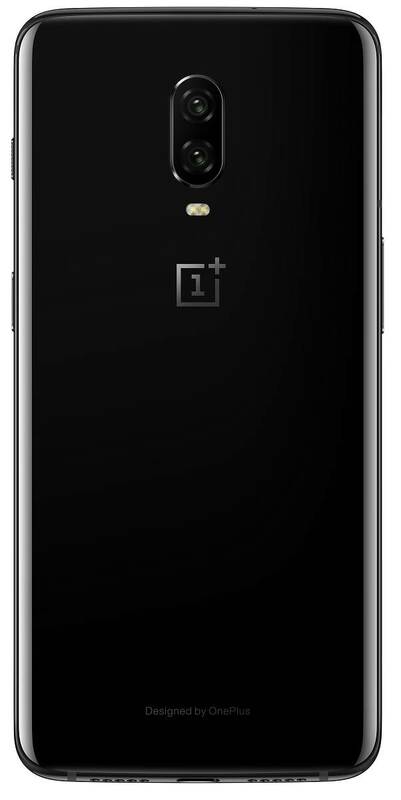 The OnePlus 6T has a 6.41-inch Optic AMOLED display compared to the OnePlus 6’s 6.28-inch display. The OnePlus 6T has an all-glass body like its predecessor, but there’s now a layer of Corning’s latest Gorilla Glass 6 for protection. There’s no longer a fingerprint scanner mounted on the rear. Instead, there’s now an in-display fingerprint scanner. The 3.5mm headphone jack is gone. 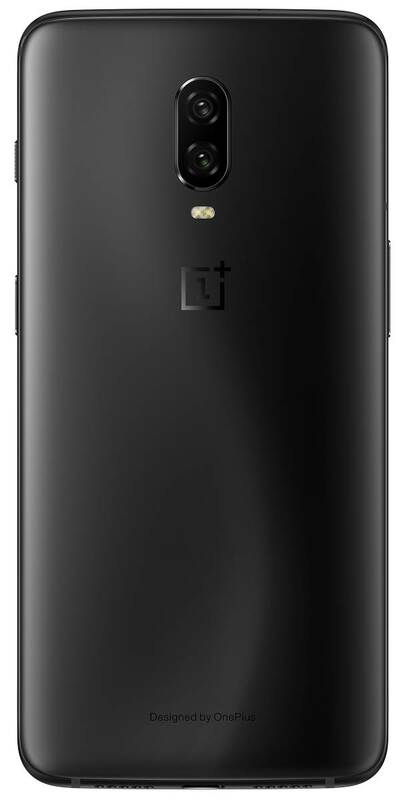 In its place is a larger battery (400mAh increase in capacity versus the OnePlus 6). There’s no longer a notification LED. The power button has been slightly lowered on the right-hand side of the OnePlus 6T to make it easier to reach. Just like the OnePlus 6, the OnePlus 6T has the volume rocker and SIM card tray on the left, the alert slider and power button on the right, and a single USB Type-C port on the bottom. The device comes in two colors: Mirror Black and Midnight Black. Mirror Black is said to have a thin layer of film underneath the glass to give it a sense of depth while the Midnight Black variant has a matte finish with a 0.1mm-layer of film and a jagged texture to produce an S-shaped line when the phone is reflected under light. The OnePlus 6T has a 400mAh larger battery than the OnePlus 6. The OnePlus 6T ships with Android 9 Pie-based OxygenOS 9, though the OnePlus 6 has received a stable update to OxygenOS 9. The OnePlus 6T supports band 13 and is certified for use on Verizon Wireless in the United States. 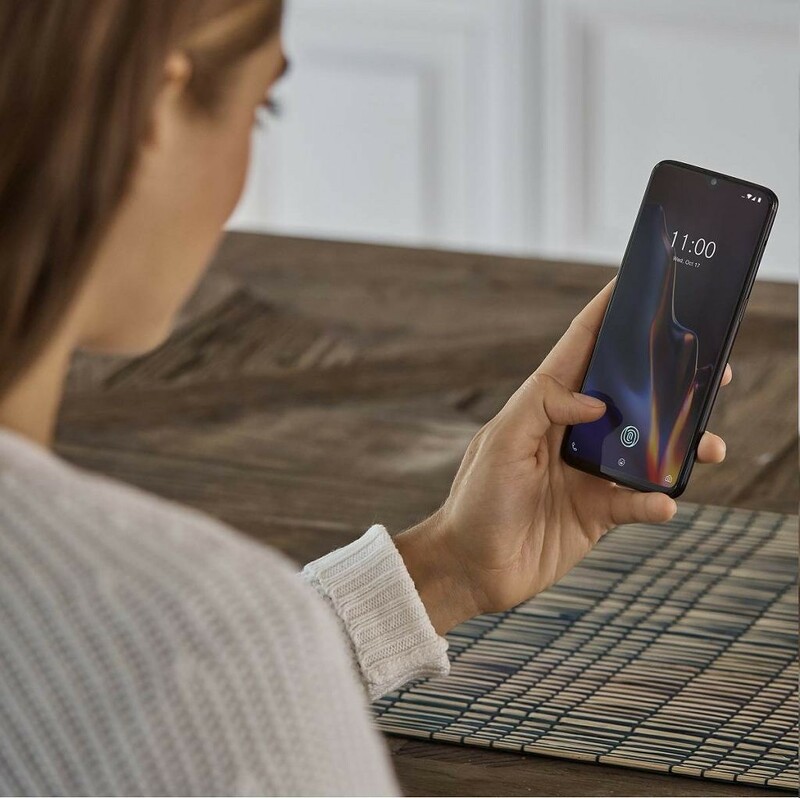 The OnePlus 6T has a 6.41-inch display with an 86% screen-to-body ratio versus the OnePlus 6’s 6.28-inch display with an 84% screen-to-body ratio. It also features Corning Gorilla Glass 6 for better durability. The OnePlus 6T no longer has a 3.5mm headphone jack. Screen Unlock on the OnePlus 6T using its in-display fingerprint scanner. Just because the OnePlus 6T only sees a minor specification bump in certain areas doesn’t mean you’re missing out on anything. The device still has the fastest Qualcomm silicon that’s currently available—the Qualcomm Snapdragon 845—, up to 8GB RAM, up to 256GB of UFS 2.1 internal storage, fast wired charging (previously called “Dash Charge”), and the clean OxygenOS software experience. Although the camera sensors remain unchanged from the OnePlus 6, our camera comparison review (Part 1 and Part 2) showed that OnePlus is able to stay competitive with the very best even while costing less. But even if the camera hardware is unchanged, there are a few new camera features on the OnePlus 6T so you aren’t missing out on the latest smartphone camera trends. Lastly, the OnePlus 6T is able to record 4K videos at up to 60FPS, slow-motion video at up to 480FPS in 720p, uses OIS and EIS for videos from the rear cameras, and EIS for videos from the front-facing camera. The updated OnePlus Camera app now has a shortcut to Google Lens built-in. For those of you who are already familiar with OxygenOS 9 (mostly those who own the OnePlus 6), we’ll offer a brief summary of the new features. For those of you who aren’t as familiar with OxygenOS, we’ll summarize the features it offers. All Android 9 Pie platform features: Google’s gesture navigation, horizontal recent apps screen tied to the stock OnePlus Launcher, and Adaptive Battery just to name a few. New gesture added to OnePlus’ fullscreen gestures. Now you can swipe up from the bottom and to the right to quickly switch to your last app. Smart Boost: “improves app cold start speeds by 5 to 20 percent by storing data from frequently used apps in the phone’s RAM.” It is “currently applied to gaming apps” with additional improvements planned for the future. Gaming Mode improvements: Notifications can be shown as heads-up notifications. Face Unlock: uses facial recognition software to unlock your phone. Gaming Mode: Reduce unwanted distractions when gaming. Reading Mode: Shift the color to avoid blue light and block notifications when reading. Earphone mode: automatically resume music, answer phone calls by connecting a Bluetooth device, hear incoming caller ID via earphones, and more. Night mode to reduce eye strain at night. Hide notch feature to darken the status bar area. Ambient display with multiple clock styles and lift to wake. Screen calibration settings (sRGB, Adaptive, DCI-P3). App locker with fingerprint support. Parallel apps for cloning certain social apps in case you need multiple account support. Although OxygenOS is considered a pretty clean software build, you can see that it has a lot of additional features that aren’t available in stock Android. The OnePlus 6T will be available in 2 different RAM/storage variants, though the availability for each depends on the color model. Also, devices sold in India and China have different LTE bands than models sold elsewhere (refer to the specifications posted earlier.) The T-Mobile model is single-SIM, and T-Mobile will exclusively carry the 8GB RAM + 128GB storage Midnight Black model. If you’re interested in learning more about the OnePlus 6T’s support for T-Mobile and Verizon Wireless in the United States, check out this article. The device comes with a factory-applied screen protector. OnePlus will again offer a selection of first-party cases to accompany their new flagship smartphone. Here’s a table with the prices for the cases you can buy with the phone. 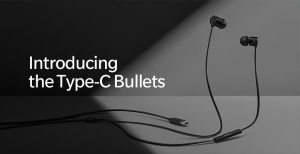 The Bullets Wireless earphones announced with the OnePlus 6 can also be used on the OnePlus 6T as well. 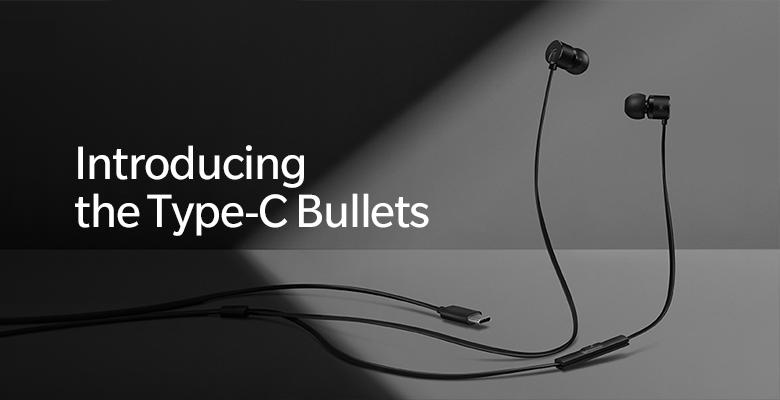 And because there’s no longer a headphone jack, the company has also released wired Type-C Bullets earbuds. For all the latest OnePlus 6T-related discussion and developments, be sure to check out the XDA forums for the device. A correction was made to this article on 10/30/18 to note that the OnePlus 6T does not have a second, bottom-firing speaker. 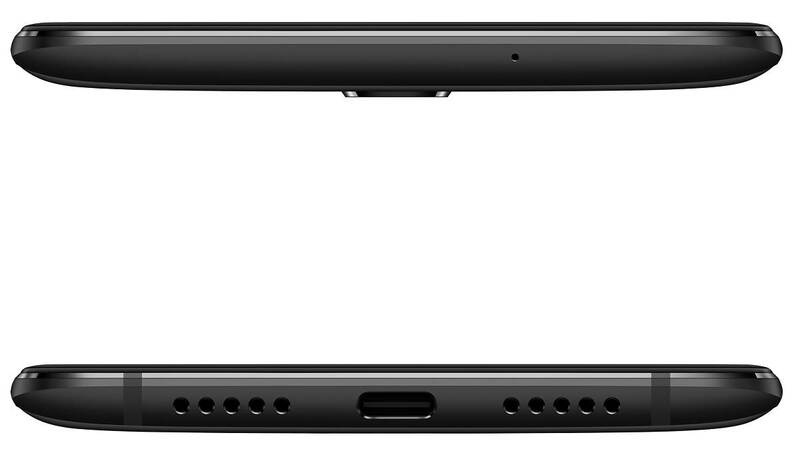 Rather, OnePlus has added a faux speaker grille on top of the microphone hole to match the speaker grille on the bottom left side.